You rarely see me wearing black but that doesn't mean I don't like it. I really do! In fact I created a specific board on my Pinterest dedicated to this timeless/ comfort zone outfits option. See it here. Gorgeous outfit. Love the shoes!! 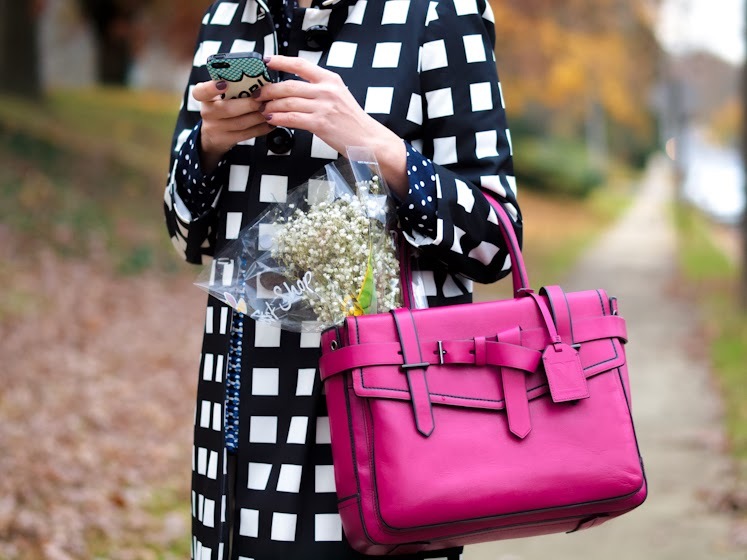 What a gorgeous coat and bag! Oh!! I love this outfit. It is all about the right pieces at the right time. The shoes are my type, that’s for sure. Amazing! Love the shoes and coat paired together. You look so stunning! 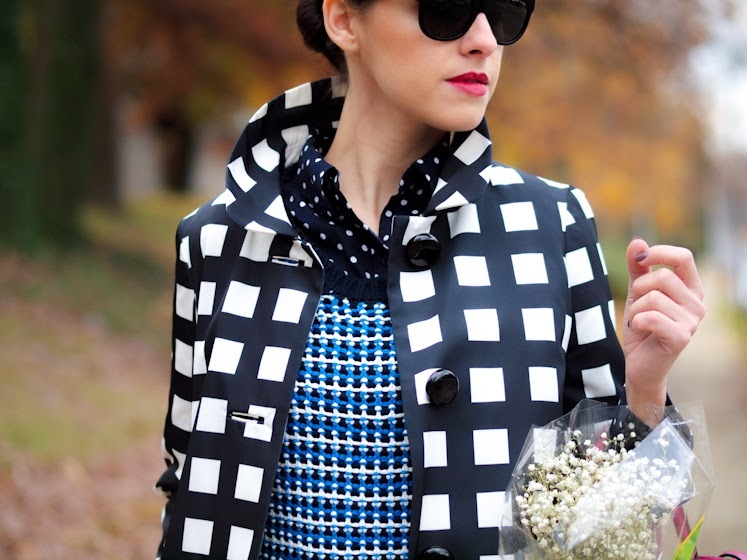 Love the patterns of the coat and top ! What a beautiful jacket…! 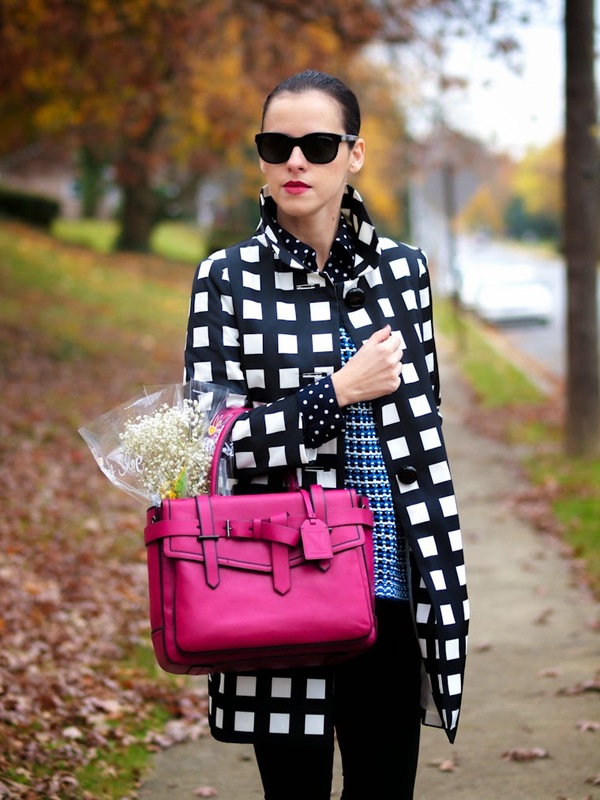 And of course, love the purse..
Not only the pattern but the overall style and length of your coat are fabulous! Plus the colour dash really make it such a great look for this season. I have too many neutral coloured coats and I am getting tired of them. Estás espectacular con ese abrigo, me encanta. I really admire(and envy) your COAT collection!!!!! 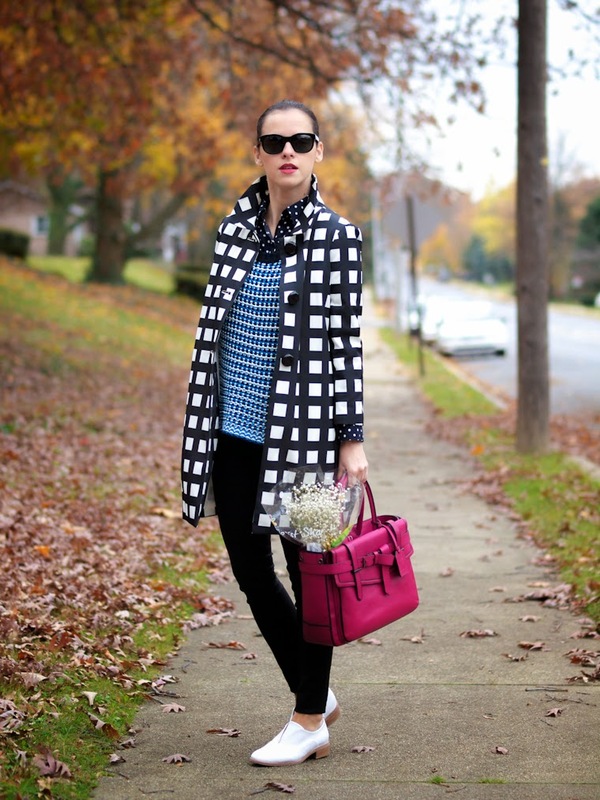 This B&W coat is something else, and you combined it so well with the different prints! The cherry on the top? That gorgeous BAG!!!!! I’m totally in love with the jacket!! beautiful coat! and I love color of your bag! 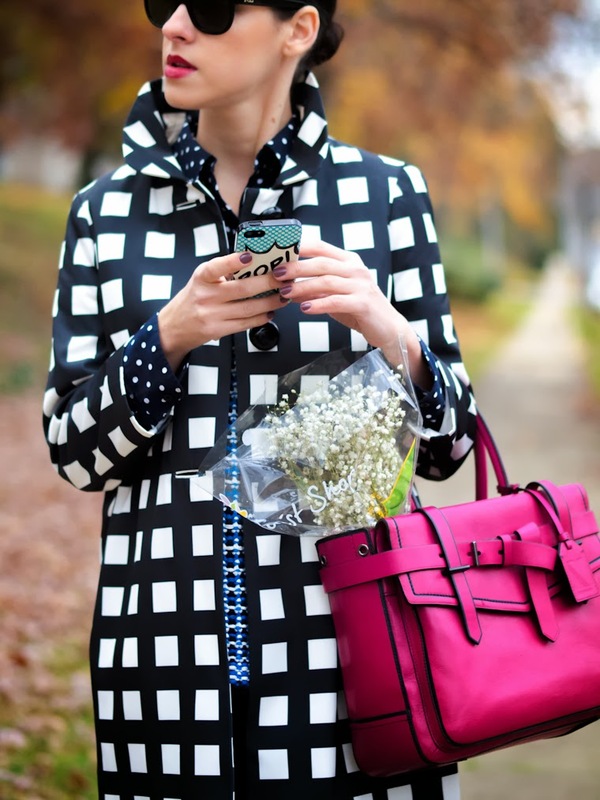 The black and white coat is super cute! This is probably my favorite outfit of yours. 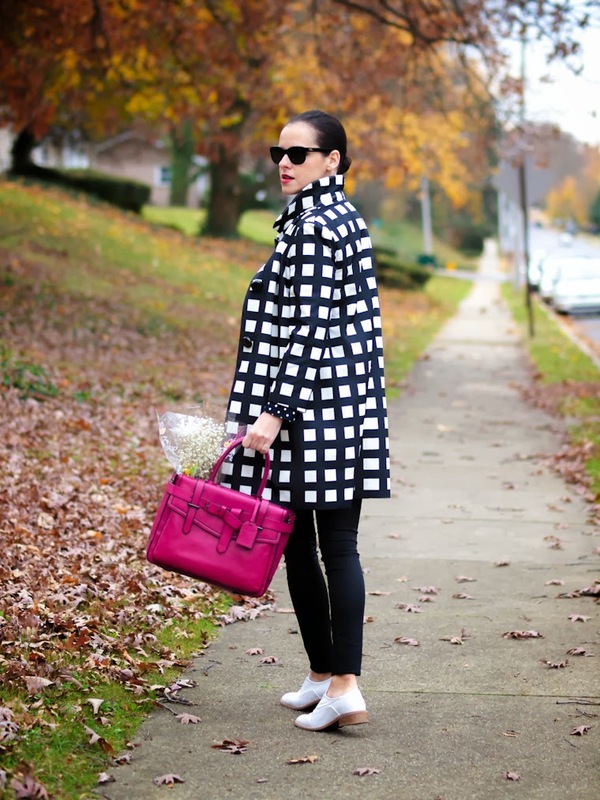 LOVE this coat and those shoes!